In his long, strange and varied career, West Linn guitarist Turtle VanDemarr has had numerous brushes with fame — or semi fame — including a stint playing in an acoustic band with the late Dan Hicks, his friend and 1960s San Francisco music legend. As is often the case with VanDemarr, commercial compromises took a back seat to playing fun and interesting music with people he likes. "It was right around when disco hit," he says of the Acoustic Warriors band. "We couldn't have picked a better time to embark on a folk-swing crusade." While timing may not have been on the ensemble's side, VanDemarr and his bandmates still made the most of it. "We had some fun. Got to see the country," he says. "We never made any money. The audience was having fun. We were having fun. It was very cool for a very long time." When Acoustic Warriors disbanded around 1987, VanDemarr moved back to his native Portland with his wife, Carmen. Landing a solid day job with New Seasons Markets and settling back into the local roots-music scene he helped shape in the 1960s, VanDemarr eventually fell in with the Freak Mountain Ramblers. For the past few decades, the amalgamation of veteran and younger songwriting players founded by Dave Reisch and the late, legendary Jimmy Boyer — dubbed the "Freaks," by loyal fans — played countless good-time gigs around Portland and the Pacific Northwest. When the band, which grew to include Kevin "Bingo" Richey, Roger North, and Lex Browning, among others, went on indefinite hiatus last year, VanDemarr traded his packed performance schedule for more lower-key endeavors. 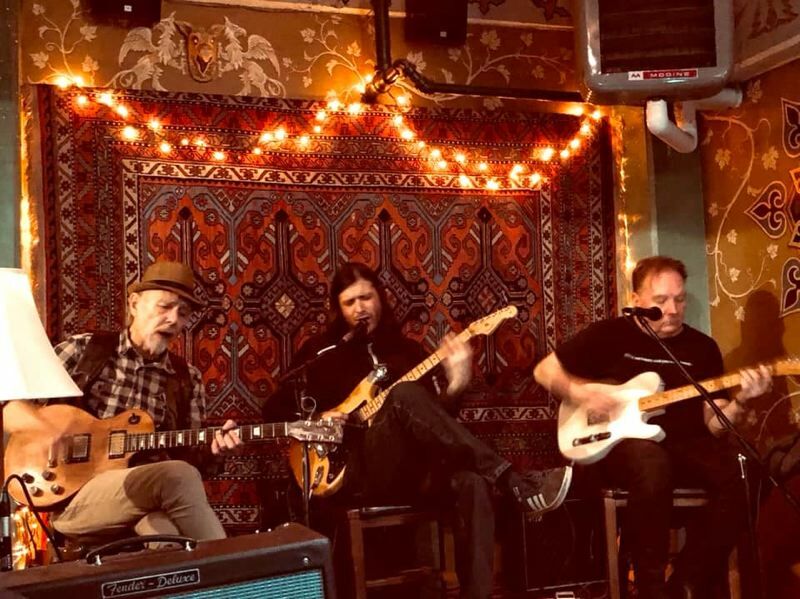 One of those, Turtle's Guitar Mafia, a VanDemarr-anchored rotating cast of guitarist/singer/songwriters, performs a monthly show at McMenamins Edgefield Winery Tasting Room. The next Mafia show, from 7-9 p.m. Friday, April 5, will feature VanDemarr alongside fellow virtuoso guitarist Jimmy Russell and Taylor Kingman, whose powerfully pained voice and intricately sketched narrative songs have gained him a rabid regional following in recent years. "I think it's awesome," says VanDemarr, 68. "I love to listen to these guys. A lot of 'em are writers, especially Taylor. 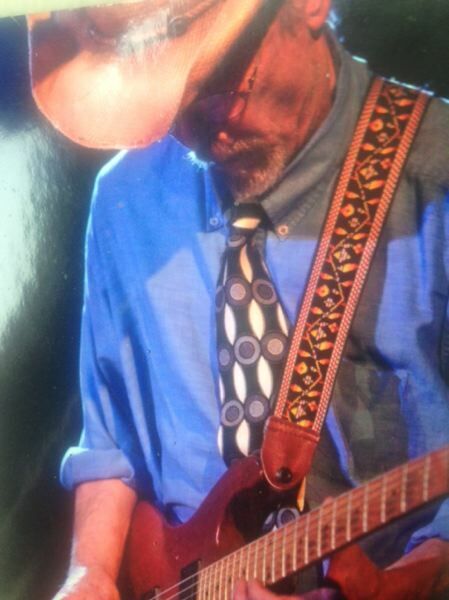 And Jimmy Russell is just a phenomenal guitar player. He does so much more than the blues, which is what he likes the most, but he can play a lot of different kinds of stuff." 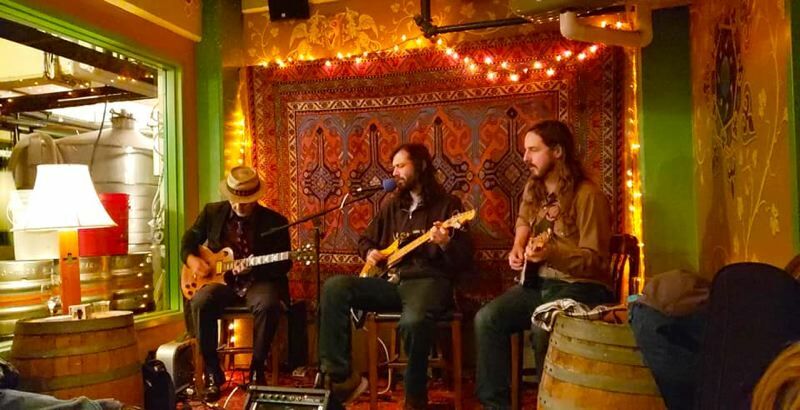 The concept of the Guitar Mafia gigs at Edgefield comes from a combination of VanDemarr's desire to share songs with friends in an intimate fashion, and the sheer space limitations of the Winery Tasting Room. "It's more intimate, without the drums and bass crashing away," he says. "The electric guitar is just a different instrument (in this setting). You can get a nice sound out of it without having to play over bass and drums. Some people might miss (that), but for the musicians playing, it's a little different setting and feel. We still rock pretty good … and you have a little more latitude with (material to play)." Inspired by folk songwriters as well as the Beatles, Rolling Stones and Bob Dylan, VanDemarr — then known by his pre-"Turtle" name of Ken — started playing music with others at age 14, when he and Steve Bradley formed U.S. Cadenza. 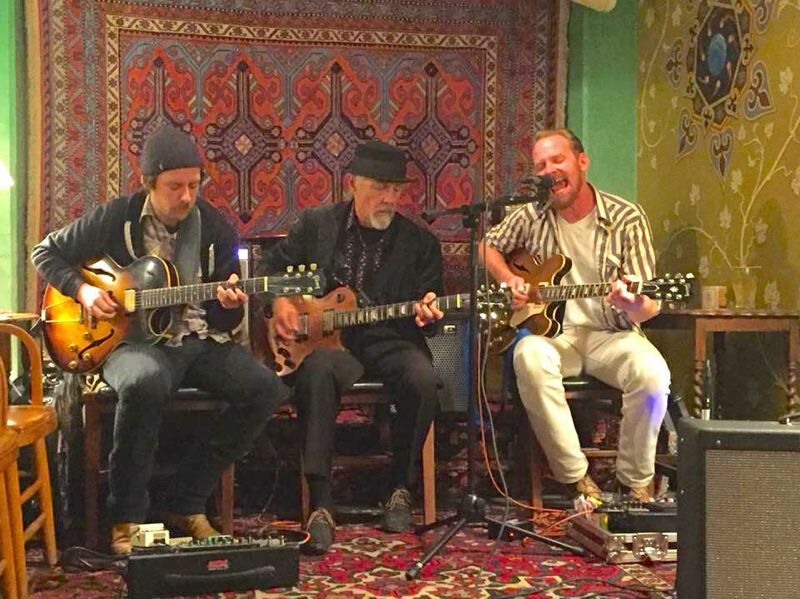 That led to a series of Portland-area bands — Turtle Soup and Great Pumpkin among them — that fueled a scene built on an eclectic mix of folk, blues, jazz and jug-band styles. Ruthie's Moan, VanDemarr's most recent full enseble, includes fellow songwriters Lynn Conover and Pete Krebs, with Matt Cadenelli and Jessie Spero on drums and vocals, and Tye North on bass guitar and vocals. These days, VanDemarr — whose look led earlier bandmates to dub him "Turtle" — is happy to carry on what he helped start back in the day. "I've been so lucky. It's been just amazing," he says. "I spent a long time learning to play the guitar. I can play it all right in a number of styles. I go out on a limb all the time. As I kinda learned in jazz, nothing ventured, nothing gained."